The cars zipping unexpectedly by from right to left as you try to cross the street can be jarring for an American newly arrived in Britain. But it’s nowhere near as disorienting as hearing the locals talk about “Europe” as being somewhere else. It begs the existentialist question: If I’m not in Europe, where exactly have I landed? Indeed, that same question has haunted British and European history for more than a millennium. On the one hand, Shakespeare’s “precious stone set in a silver sea,” is an island apart. It has been the most influential global trendsetter in human history (especially if you credit Britain for spawning the U.S.). American exceptionalism is nothing but an uncertain toddler in comparison to Britain’s own sense of prideful exceptionalism. And yet, much as Americans are often in denial about the extent to which we are the product of our British roots, the British are often in denial about the extent to which their history (and destiny?) is interwoven with that of the larger—or adjacent, if you insist—European continent. Start with the fact that London was founded by Romans. Then consider that two of the most consequential Williams to rule Britain (a professor of mine once quipped that the history of Britain can be told in a half-dozen Williams) hailed from across the channel. The English don’t like being reminded that William I (the Conqueror) who prevailed at the Battle of Hastings in 1066 was basically French and that the king who put an end to what seemed like never-ending cycles of religious warfare and destructive Crown-Parliament tensions was Dutch (William of Orange). To some degree, the iconic freedoms the world associates with Britain, consolidated by this William’s Glorious Revolution of 1688, were (gasp!) Dutch imports. Today’s beloved Prince William, meanwhile, hails from a German family. Don’t be fooled by the “House of Windsor” nomenclature—the ruling family only adopted that name because being the “House of Saxe-Coburg and Gotha” proved rather awkward when Britain was at war with Queen Victoria’s other grandson, the German Kaiser Wilhelm II. For centuries, before it became the center of the world (literally, according to how we keep time), the British island nation fretted about being a lesser power on the periphery of Europe. Before British monarchs realized that it was far more cost-effective to rule over the rest of the world than over Europe, they were judged by their military conquests across the channel. Few Americans know that British monarchs claimed to be the rightful rulers of France until 1800 (when they finally dropped the claim from their title), a grudge they had nursed since the 1340s. But the British also felt a competing ambivalence towards Europe that would come to prevail over time. King Henry VIII’s divorce from the Roman Church in order to leave his wife, whose Spanish nephew was the most powerful emperor of the day, amounted to one of several divorces from Europe throughout British history. Britain became wary of being a European player also because, over time, the stakes seemed smaller and smaller. Why worry about small French provinces when you could rule all of India, half of Africa, and the Caribbean for less effort and far greater profit? Britain’s role within Europe shifted to that of remote arbiter who dabbled in European affairs intermittently only to prevent any one power—be it Napoleonic France or Nazi Germany—from dominating the entire continent. British culture, even more so than its geopolitical outlook, developed in ways antithetical to the European norm (though there is more diversity and less of a “norm” on the continent than the British like to concede). If gross generalizations are ever fair, it’s fair to say that British society was less statist, less orchestrated from on high, than French or Prussian society. The British monarchs were historically weak in comparison to their European peers. Unlike elsewhere except the Netherlands, in Britain the industrial revolution and the overseas colonial enterprises were driven as much, if not more, by private enterprise than by the state. You could spend the rest of your life reading the voluminous literature on the distinctiveness of Britishness. But suffice it to say that the importance of the individual, the laws pertaining to that individual’s place in society, and the supremacy of that individual’s private sphere and associations are common threads throughout. The most famous put-down of the British people in history may have been Napoleon’s description of them as a “nation of shopkeepers,” although the British, being British, didn’t see it as much of an insult. Britain’s days as the reigning global superpower are long in the past, and nowadays the island nation must exert its still-considerable moral, economic, and military power in concert with others to have an impact. This is a painful reality for the British public to acknowledge, even before they get to the question of whether it’s best to submit themselves to a transatlantic “special relationship” binding Britain to America, or as a full member of an “ever closer” European Union. The economic marriage with the European Union of 28 nations was uneasy from the start—with a series of pre-nuptials insisted upon by London, exempting the U.K. from some of the togetherness the more enthusiastic continentals desire, and entitling it to a rebate for some of the monies paid into the Union. The British were late to join the Union, and may be early to divorce if the “Leave” campaign prevails in the June 23 referendum, and they have engaged throughout in endless hand-wringing over whether to try to “fix” the Union and make it more to their liking, or to bolt. Prime Minister David Cameron is only the latest British leader to attempt to seek the former by threatening the latter. This all becomes rather tiresome to other Europeans, stuck in a marriage with an aloof spouse who whines endlessly about how she has better places to be, and about how back in the day she wouldn’t have been caught dead with them. Polls across the continent show Europeans to be more fed up with the U.K.’s marital behavior than the British public is with the marriage, although there have been times when Germany and other EU members have appreciated the U.K. playing its spoiler role, as a counterweight to previous French political dominance. And European leaders have been solicitous of Cameron’s demands and British impatience leading up to June’s referendum because, with other crises facing the Union, they fear the precedent established by the decision of any one nation, let alone one of it major powers, to split. On the economic merits, Britain has the best of all worlds, as an EU member enjoying free access to the continent’s vast markets without the albatross of the shared euro currency. The English love playing up the burdens imposed by “harmonizing” regulations issued by officious technocrats in Brussels, but the burdens are more imagined than real. 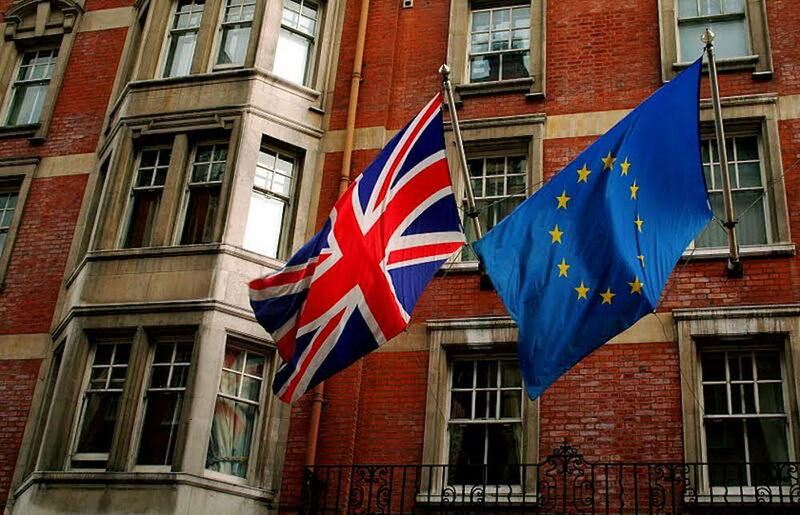 The economic impact of a “Brexit”—if handled properly with an amicable settlement that doesn’t destroy the symbiotic cross-channel trading relationship—could very well turn out to be negligible, regardless of what both sides of the current debate claim. The larger question about the future, and the underlying wariness in Britain, remains a more political and cultural matter, a question of identity—of whether Britain remains, now and forever, truly exceptional. Andrés Martinez writes the Trade Winds column for Zócalo Public Square, where he is editorial director. He is also professor at the Walter Cronkite School of Journalism at Arizona State University and a fellow at New America. *Photo courtesy of Dave Kellam/Wikipedia. Brexit, British Exceptionalism, Europe, European Union, exceptionalism, nationalism, U.K.